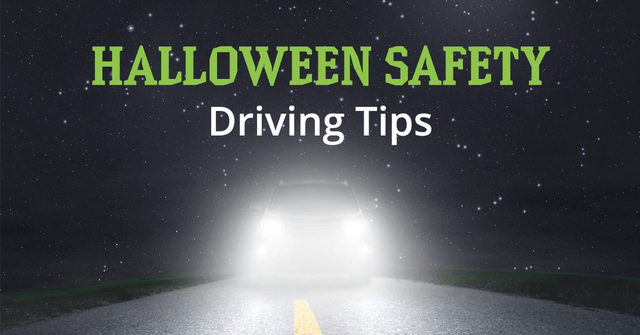 Whether you are planning on celebrating Halloween with a fun night of trick or treating, attending parties, or attending haunted venues, it’s a risky night to be out. Whether you unintentionally cause harm to others or get in an incident, there are dangers lurking on Halloween night. Here are five tips to keep your night a little less scary and a lot more fun. Keep your headlights on. Many people don’t turn their headlights on until it’s dark, but visibility starts to decrease in the early evening hours. It is also hard for other drivers and pedestrians to see your vehicle, or distinguish if it’s running, so just keep your lights on. Many cars automatically have lights on, but if yours isn’t one of them, turn them on early. Drive slower than the posted limit. Speed limits are not required driving speeds. When there are crowds around, or a lot of children present, it is better to drive slower than the posted speed. In these situations, people are likely to step or run out in the road in front of your car, causing an incident if you are distracted or driving too fast. Park in marked spots. Haunted venues draw big crowds on Halloween night. If you are planning to attend, look for a marked spot to park your vehicle. This not only keeps your vehicle safer from getting hit, but it also prevents creating another hazard for other drivers. Never drive intoxicated. There are plenty of Halloween parties that offer alcohol. If you are planning to get behind a wheel, don’t drink or do drugs. If you are underage, you shouldn’t be participating in these activities anyway. Give yourself extra time to get there. To avoid unexpected delays or driving too fast to meet up with friends, give yourself extra time to get where you need to go. Stay on the sidewalk. Too many cars are going through the streets, not watching for pedestrians. It is always safer to stay on the sidewalk. If you are on roads without sidewalks, make sure you walk on the shoulder of the road, rather than in the middle. Don’t wear masks. Plenty of costumes come with a mask, but they limit how much you can see when you are walking around. If you have kids with masks on, or you’re wearing one yourself, take it off while you are walking around. This is especially true when crossing streets. Know where your kids are going. If you have older kids and teens that go out alone, make sure you know the route they are taking. Teach them how to stay safe by not going inside houses, stay in a group, and that if they feel in danger, they should leave the area, even on Halloween. If your teens are going to a party, make sure you know the parents and see if there will be any drinking or other harmful behaviors going on. Wear reflective or glowing gear. Another problem with so many pedestrians is that they are hard for drivers to see. Make sure that everyone has some sort of reflective gear or glow sticks on them. This also helps you keep track of your group more easily. Stay in groups. The term “safety in numbers” applies to Halloween too. The more eyes that are available to keep track of children and watch out for dangers, the better. Remember to be safe and have a Happy Halloween!